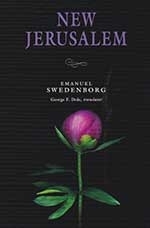 The Swedenborg Library has reference and circulating copies of the work of the 18C Swedish scientist and theologian Emanuel Swedenborg, along with many other titles on contemporary spiritual thought, DVDs and CDs. Below are some of the new works now available on loan from the Swedenborg Library. We participate in lending via mail; call us at 312-346-7003 or use the "Contact Us" form (see link in the left-hand column of this page) to provide the title you would like to read, and your mailing address. The Library is open to the public on Wednesday and Friday afternoons from 1-5 pm, and also before and after programs. If you will be downtown during the week when the Library is not open, and would like to return a book, contact us at 312-346-7003 for instructions. If you prefer to own a copy of these books, or prefer electronic copies for your e-reader, we suggest that you visit the Swedenborg Foundation's web site, at Swedenborg Foundation, where you will find downloadable copies available, free or at little cost, depending upon the format you need, as well as printed books for sale. In Seven Days of Spiritual Evolution, Rogers responds to a growing movement of biblical literalism by using Emanuel Swedenborg’s deeper symbolic meanings of Bible text. This is our Book Group selection for February 27, 2019. "Lightning Strikes" examines Nikola Tesla's unusual life and mind, along with his many visions and innovations, which have helped shape our past, our present and our future. It also explores why the government hoped to shut down his bold experiments and how his groundbreaking ideas and inventions are being implemented in the global technologies of clean power, robotics, and wireless transmission of power and information. But most of all, "Lightning Strikes" offers lessons on creativity from his life and work that can be applied in today's world. The Universe and I: Where Science & Spirituality Meet offers scholar and theologian George F. Dole's thought-provoking insights on the dynamic nature of the ongoing science and religion debate. Why are we here? Where are we headed? Dole argues that to understand these questions, we need not only the grounding of science but also the insights of spirit. As experts continue to work out the relationship between cosmology and human evolution, Dole, who has spent a lifetime making sense of the spiritual world, joins the conversation with a clarity that only he can provide. Shaped primarily as a response to the scientific community, he engages with a wide spectrum of thinkers, including Stephen Hawking, Richard Dawkins, and eighteenth-century polymath Emanuel Swedenborg, just to name a few. Accessing a wealth of knowledge from across a wide variety of disciplines--philosophy, religion, biology, physics, and more--Dole presents his own model for our physical and spiritual existence. Starting with what we don't know and what we can observe about the fundamentals of existence, Dole explores "the creative tension between differentiation and integration"--the drive to be individual and yet be united to a greater whole, a tension whose persistent progress since the Big Bang has brought about such gifts as the emergence of life and consciousness. Dole not only presents us with the empirical evidence of science but also provides us with a first-person understanding of the spiritual dimension and how it might inform the way we consider those grand speculations on the meaning of the universe and of life. Reflecting on how life began leads to questions of how we will continue to advance humanity and goodwill for all--both as a species and as individuals striving for personal growth. Asking the question "How can I, infinitesimal I, have the gall to regard myself as significant in the context of the universe? ", Dole embarks on a journey that spans the life of the universe itself, making every effort along the way to answer this question--for all of us. Emanuel Swedenborg (1688-1772) was one of the greatest figures of the Enlightenment. A member of Sweden's ruling elite, he was also an innovative philosopher and scientist, making a thorough study of human anatomy and physiology. As an inventor his discoveries ranged from a method of finding terrestrial longitude to new ways of constructing docks and even designs for the submarine and airplane. In 1743, he underwent a dramatic spiritual awakening; thereafter his studies were increasingly directed towards what he had seen and heard among spirits and angels. It is these experiences that inspired a host of prominent writers, poets and artists from William Blake to Ralph Waldo Emerson and to August Strindberg, to name a few. 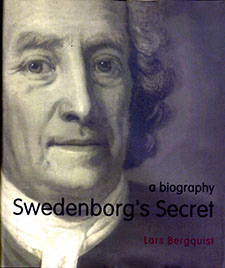 "Swedenborg's Secret" is the first definitive, full-length biography in the past fifty years. This immensely readable and authoritative work sets Swedenborg in the context of the declining power that was 18th century Sweden. In a fresh, lucid account, packed with insights and a detailed exploration of Swedenborg's core ideas, Lars Bergquist reveals how this 'man of two worlds' not only played an active part in the political life of his nation, but also set out in works such as Heaven and Hell, The New Jerusalem, and The True Christian Religion, a stunning vision of human destiny. '...Swedenborg is the wonderful Restorer of the long lost secret'. And what was this secret? It is the opening of the gate. It is the sure knowledge that nature and the material world are the vessels of eternity. - Peter Ackroyd, "Blake." "Somewhat surprisingly, given the length and detail of his visionary experiences, the name of Emanuel Swedenborg has remained largely absent from the mystical tradition," writes editor Stephen McNeilly. "R.W. Emerson, in 1850, was the first to offer a positive analysis–situating Swedenborg, via Paracelsus, Madame Guyon and Jacob Boehme, in a long line beginning with the Church Fathers–but apart from this, very few discussions can be found within the tradition itself. W.H. Auden, in his essay 'Four Kinds of Mystical Experience', mentions him briefly as 'rather hard to swallow,' whilst notable writers and editors such as Evelyn Underhill, William James and Richard Woods overlook him. Perhaps most crushingly, Immanuel Kant dismissed him altogether as the 'arch visionary of all visionaries' and his work as the ravings of an 'enthusiast.' Kant's attack has cast a long shadow over Swedenborg's reputation and influence, of which 'the mere invocation of the name of Immanuel Kant is sufficient to permit complete dismissal of the viewpoint, experience and reasoning of Emanuel Swedenborg." 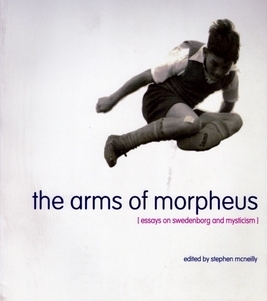 The essays in this book by Czeslaw Milosz, Ariel Hessayon, Gary Lachman, Richard Lines, Reuben Bell, James Wilson, and Jose´Antonio Anton Pacheoco situate Swedenborg more clearly in the mystical tradition, drawing parallels with other mystics and esoteric movements. 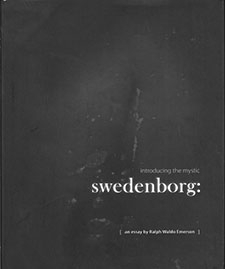 Ralph Waldo Emerson's famous 1850 essay "Swedenborg: introducing the mystic" is still one of the most influential and widely read introductions to the Swedish mystic ever written. August Strindberg, in 1913, acknowledged its importance to his own reading of Swedenborg when he wrote: 'Emerson has shown me his greatness...when one reads Swedenborg one should read Emerson alongside.' Jorge Luis Borges, likewise, some seventy years later, returned to Emerson's text as a counterpoint to his own late eulogy of Swedenborg entitled 'Testimony to the Invisible.' This volume of Emerson's essay includes a new introduction by Stephen McNeilly, plus a chronology of the life and works of Swedenborg and Emerson, notes, and an index. 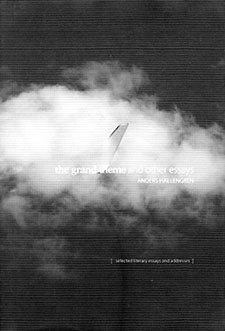 The Grand Theme and Other Essays collects material written over a number of years and explores, through a prism of literature, poetic reflection and historical narrative, Hallengren's long-standing interest in his fellow countryman, Emanuel Swedenborg. 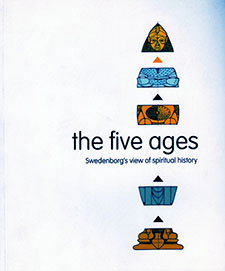 This volume by Swedenborg is not a history of the five ages, a la Karen Armstrong, as the discipline of history as we know it did not exist in the eighteenth century, when Swedenborg lived. It is more of a spiritual reflection on "the five stages of development we pass through in our psycho-spiritual lives from infancy through childhood, youth and adulthood to maturity," explains Patrick Johnson in his introduction to this volume. "The church exists as a general body within society, but there is also a personal church in each one of us," Johnson says. Johnson has brought together quotations from Swedenborg from across his many books, on the points he makes about the five churches. This volume, designed for contemplation, presents the careful, psychological insights found in Swedenborg's work on the topic of how to develop into a useful person, in a spiritual sense. Emanuel Swedenborg states unequivocally that the Ten Commandments are the most important part of the Bible. Encapsulated in ten simple statements is everything we need to know about how to live, love, and grow as spiritual people. One of the fundamentals of Swedenborg's theology is the concept that underlying the literal text of the Bible is an inner spiritual meaning. Using this method of interpretation, Swedenborg peels back the layers of the Ten Commandments to reveal a cohesive set of teachings with both practical applications and far-reaching spiritual implications. 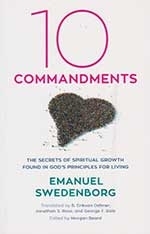 Although Swedenborg discusses the Ten Commandments in many places throughout his writings, he wrote four extended commentaries on the subject in four separate volumes: Secrets of Heaven, True Christianity, the short work Life, and the posthumously published Revelation Explained. Those four commentaries are now being combined in a single volume for the first time, allowing the reader to compare and contrast Swedenborg's approach across a seventeen-year span. This book offers a new insight for spiritual seekers and students of Swedenborg alike, illuminating what is at once a familiar set of biblical teachings and one of the cornerstones of Swedenborg's system of personal growth. This short work, presented as a series of teachings that characterize a spiritual age to come, is also one of Swedenborg's most concise and readable summaries of his theology. Building on fundamental concepts such as good, truth, will, and understanding, he describes the importance of love and usefulness in spiritual growth. In the second half of the volume, he focuses on how this new theology relates to the church of his day, and to the church teachings about the Bible, the Lord's incarnation on earth, and rites such as baptism and the Holy Supper. Each short chapter is followed by extensive references back to his theological magnum opus, Secrets of Heaven. Since the dawn of Christianity, there has been debate about the true nature of Jesus Christ. Was he a divinely inspired person or the incarnation of God on earth? In his short work The Lord, Swedenborg presents an answer to the time-honored question of how Jesus and God are related: he argues that they became in every way one and the same. Throughout his works Swedenborg uses the term “Lord” to refer to Jesus as the embodiment of God. In this work he emphasizes that the traditional trinity of Father, Son, and Holy Spirit should be thought of not as three separate divine Persons that have always coexisted but as three aspects now present within one divine Person—Jesus in his resurrection. The Lord also touches upon key themes in Swedenborg’s theology: the spiritual reasons why the Lord came to earth; the significance of the death and resurrection of his human form; and the ways in which his coming was foretold in the Old Testament. Throughout the book, Swedenborg provides extensive biblical references to support his arguments. He concludes with a brief chapter describing the New Jerusalem, a reference to both the city described in the book of Revelation and the new spiritual age that is now unfolding. The Lord is part of the New Century Edition of the Works of Emanuel Swedenborg (NCE), an ongoing translation series. The NCE series incorporates the latest scholarship and translation standards for a more accurate and accessible rendering of Swedenborg’s works. Traditionally titled The Doctrine of the Lord, this short work is often published together with three other short works—Life, Faith, and Sacred Scripture—under the title The Four Doctrines. The Swedenborg Foundation will publish these four titles together in the forthcoming NCE hardcover annotated volume The Shorter Works of 1763. The Lord is part of the New Century Edition of the Works of Emanuel Swedenborg (NCE), an ongoing translation series. Traditionally titled The Doctrine of the Lord, this short work is often published together with three other short works—Life, Faith, and Sacred Scripture—under the title The Four Doctrines. Centuries before popular Western culture embraced meditation, positive thinking, and the quest for enlightenment, Swedish scientist-turned-seer Emanuel Swedenborg (1688-1772) developed a simple formula for achieving personal spiritual growth. In his works, Swedenborg describes the two parts of our mind: the intellectual side that wrestles with questions of right and wrong, and the emotional side that drives us toward what we truly love. We are born with selfish impulses and desires, and while we may learn to act ethically, we don't start growing as spiritual people until we transform our emotional side. That transformation, he says, happens from the outside in: first we decide intellectually to be more loving, and that decision leads us to choose consciously to act for the good of others. These external thoughts and actions gradually open us to a higher love, one that transforms our desires and ultimately our fundamental being. He calls this process regeneration. 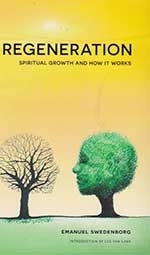 This book brings his key teachings on regeneration together in one volume, illustrating the process of becoming a spiritual being and discussing how and why that process works. Drawing on decades of group work, the authors offer simple techniques that unlock joy and personal growth in the midst of life’s most challenging moments. For spiritual growth groups, the book includes resources for facilitators; for those working alone, it includes transcripts of real-life group discussions so the reader can share in the group experience. 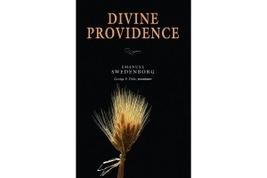 DIVINE PROVIDENCE by Emanuel Swedenborg. This work contains Swedenborg’s solution to the “problem of evil”—that is, to the question of how one is to reconcile the notion of a loving God with the existence of evil, hardship, and suffering. STARTING SCIENCE FROM GOD by Ian Thompson. In this well-argued book, physicist Ian Thompson makes a case for scientific theism, a case that meshes surprisingly well with the structure of reality revealed by quantum field theory and by theories of developmental stages in human minds. The result is a serious look at a promising new rational structure encompassing theology, psychology and physics. THE LIVES OF ANGELS. The Lives of Angels is a collection of Swedenborg's most striking insights about life in heaven, with vivid descriptions of angels' homes, their language, their communities, and even their romantic relationships. He tells us that angels are with us throughout our lives, guiding and supporting us, and that any person on earth can become an angel after death if he or she is loving and selfless. Translated from the original neo-Latin by George F. Dole and Lisa Hyatt Cooper. OUR LIFE AFTER DEATH. In Life After Death Swedenborg describes in detail the process of passing from our physical plane to the spiritual world. He tells us that death is no more than a step from one state of being into another, and that our lives continue in that other world. In this book, exerpted from Swedenborg's classic volume Heaven and Hell, Swedenborg vividly recounts the moments during and immediately after death, and the stages we pass through to find our final home in a vast spiritual realm. An introduction by near-death-experience researcher Kenneth Ring describes how Swedenborg's accounts match the testimony of modern near-death experiencers--and then go far beyond. PROVING GOD. In Proving God, author Edward F. Sylvia seeks to unify religion with science, spirit with matter, mind with body, and evolution with eternal salvation, using the 18c scientist and theologian Emanuel Swedenborg's ideas. For more information, go to "Program-Related Materials" in the left-hand column, and click on the book image. SWEDENBORG SAMPLER. For new readers of Swedenborg, knowing where to start and what to read can present an insurmountable task. This volume is a good starting point and provides samples of some of his most powerful writings, now available in new, contemporary translations. Writing over two centuries ago, scientist-turned-mystic Swedenborg almost perfectly captured the tone of the current expansion of New Age into a mainstream spiritual philosophy. As more and more people begin to seek out contact with out-of-body entities, and even more begin looking to reconcile their traditional religious roots with their changing needs and beliefs, the writings of Swedenborg should start getting more attention. 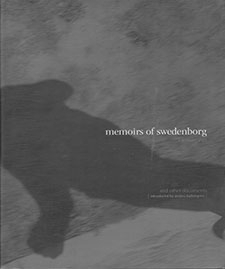 Five of Swendenborg's most popular books are excerpted, newly translated, and presented with brief introductions which provide background for the excerpts.